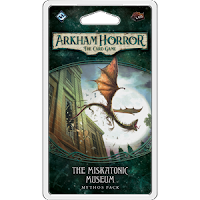 I can't remember how much I've written about Arkham Horror TCG. I feel like I've written a bit about upcoming product, but not about my experience with the game. I suppose I could look back through my post history, but that seems like a ton of work. I'd have to click, like... three links or so. I don't get paid for that kind of dedication. There are currently 10 investigators in the game. They come in five different varieties. Blue is Guardian, Red is Survivor, etc. 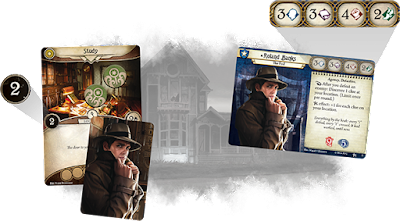 Each Investigator has health and sanity values. These are like physical and mental health points. If you die via physical damage, you incur a physical trauma and start the next game with one damage. Same goes for sanity damage. There are also four base stats that impact your ability to perform certain types of actions. 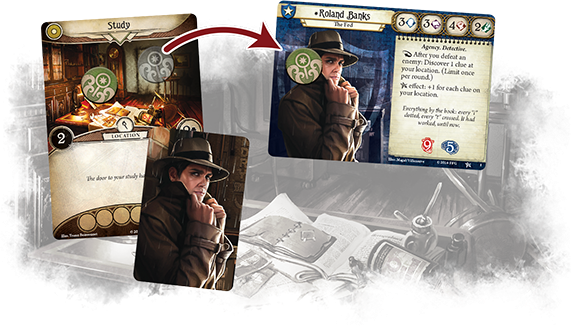 Lastly, each card has special rules unique to that Investigator. 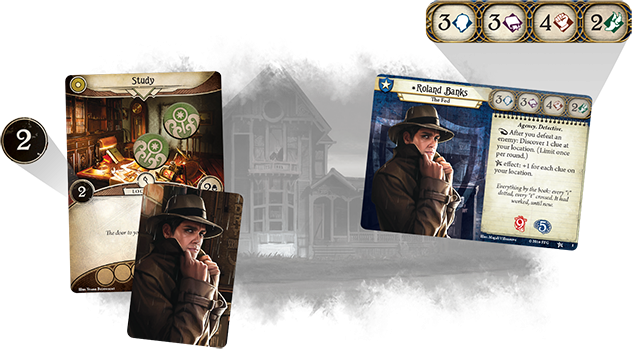 Each player has a deck of cards to go with his or her Investigator. There are usually a set of restrictions on what can be included in the deck. 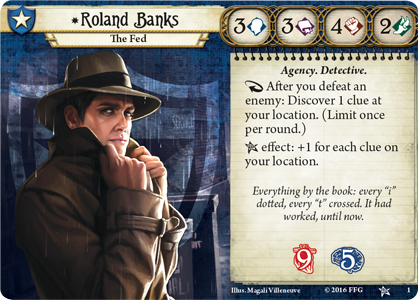 Roland Banks, above, is restricted mainly to blue (Guardian) and grey (Neutral) cards. Usually, it's possible to include a limited number of cards from other colors. The reverse of the Investigator card tells you what you can use. Decks of cards can be upgraded in between scenarios using experience gained during game play. Cards have a level and can be purchased at the cost of 1 xp per card level... so a level 3 card costs 3 xp. In my experience, you get enough xp to upgrade a small handful of cards after each mission. 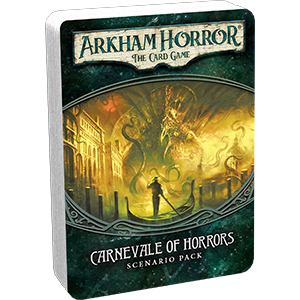 The game is driven primarily by two stacks of cards... the Agenda deck and the Act deck. Every round, you put a Doom token on the Agenda deck. When the number of tokens matches the number on the card, the Agenda deck progresses. This is typically bad for the players. The Act deck is generally progressed by collecting a certain number of clues. Sometimes there is another condition to progress the Act deck. The general goal of the game is to get all the way through the Act deck. If you do so successfully, you generally 'win' the scenario. If you all die, all resign (quit early) or the Agenda progresses all the way, you usually 'lose' the scenario. One of the core mechanics in the game is to take a skill test. Skill tests always have a 'success' or 'target' value and are always versus one of the Investigators four base stats. To perform a test, you pull a random 'chaos token' out of a blind bag and add the value to your stat. 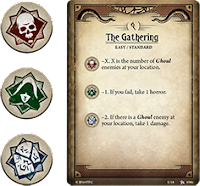 On easy mode, the chaos token bag is made up of -2, -1, 0 and +1 tokens in addition to a few with icons (shown above). There might be multiples of each number and tokens might be added as a campaign progresses. If your modified total is at or above the skill test's target, you pass the test. Otherwise, you don't. 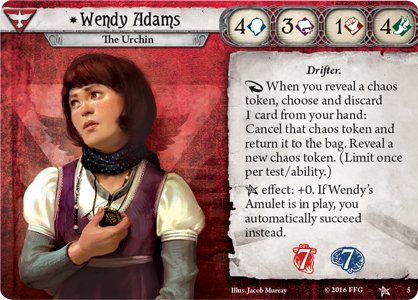 Game difficulty is changed by modifying the contents of the chaos token bag. Skill tests cover everything from looking for clues to fighting monsters. Quite a few of the cards in your deck will have to do with improving your skill tests. Some are permanent and some are one offs. 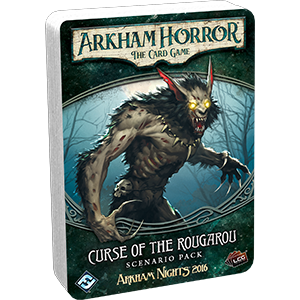 The game itself can be played as a single night, one off adventure, but is really designed to be played as a linked campaign. 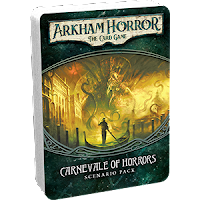 The core box comes with a three scenario standalone campaign. 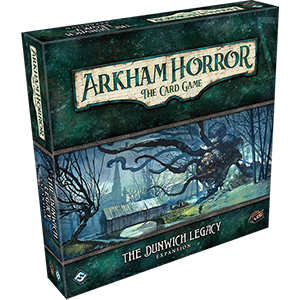 The first deluxe box, The Dunwich Legacy, kicks off a much larger campaign. The big box comes with a bunch of new player cards (for player decks) and generic scenario cards that are used for multiple scenarios. 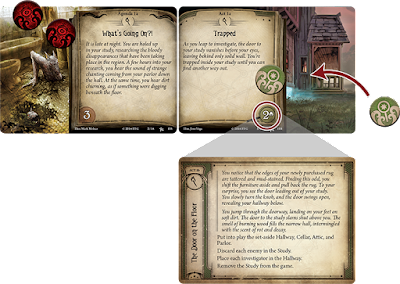 It also contains the first two scenarios in the Dunwich Legacy cycle. After playing through the first two scenarios, players can pick up scenario pack like the below, which each have one full scenario as well as two player cards for each of the five different Investigator types. 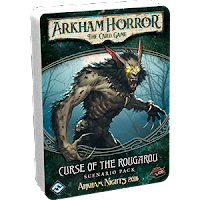 In addition to the linked campaign scenarios, FFG produces standalone scenarios that can be added mid campaign as 'side quests' or played as one night adventures. If played as a side quest, each player has to pay 3 xp to 'unlock' the scenario. 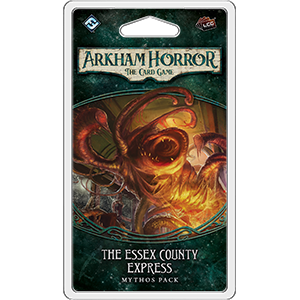 Generally speaking, you'll earn the 3 xp back, plus or minus a couple, and also earn a useful card to add to your deck. My final verdict is that this game is awesome. Go out. Buy it. You will not be let down.